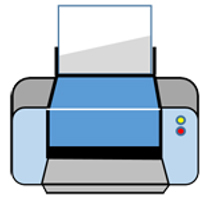 Welcome to our 3d Shapes Worksheets page. Here you will find our selection of free shape worksheets to help you child to name and learn some of the properties of the 3d shapes they will meet at 2nd grade. The main focus on this page is the identification and properties of different types of 3d shapes: cubes, cuboids, prisms, pyramids, cones, cylinders and spheres. Need to be able to identify 3d shapes? Looking for some worksheets to help you to identify some common 3d shapes? Need to know the properties of common 3d shapes? Then these 3d shapes worksheets should hopefully be what you are looking for! The worksheets and resources on this page should help you to identify a range of 3d shapes and give your child an opportunity to practice their 3d shape knowledge with some useful worksheets. There is a range of worksheets - a selection of identifying, shading, naming and finding the properties of 3d shapes. recognise some 3d shapes in different orientations. All the 3d shapes worksheets in this section will help your child to learn more about the common 3d shapes around them and some of the properties they have. 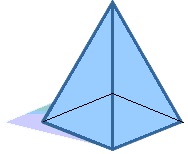 At a 2nd grade level, we do not need to know the precise shape names for pyramids and prisms, it is enough to know that a hexagonal pyramid is a type of pyramid, and a pentagonal prism is a type of prism. Cubes have 6 faces, 12 edges and 8 vertices. All sides on a cube are equal length. All faces are square in shape. A cube is a type of cuboid. Cuboids have 6 faces, 12 edges and 8 vertices. All the faces on a cuboid are rectangular. 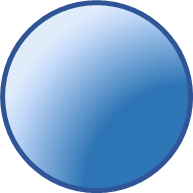 Spheres have either 0 or 1 faces, 0 edges and 0 vertices. Cylinders have either 2 or 3 faces, 0 or 2 edges, and 0 vertices. Cones have either 1 or 2 faces, 0 or 1 edges, and 1 apex (which is described by some mathematicians as a vertex). 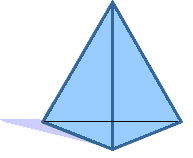 Triangular Prisms have 5 faces, 9 edges, and 6 vertices. The two faces at either end are triangles, and the rest of the faces are rectangular. Hexagonal Prisms have 8 faces, 18 edges, and 12 vertices. The two faces at either end are hexagons, and the rest of the faces are rectangular. Triangular-based pyramids have 4 faces, 6 edges and 4 vertices. The base is a triangle. All of the faces are triangular. 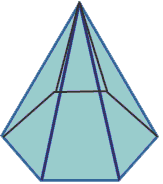 If the triangular faces making up the prism are all equilateral, then the shape is also called a Tetrahedron. The base is a square. All the other faces are triangular. Hexagonal pyramids have 7 faces, 12 edges, and 7 vertices. The base is a hexagon. All of the other faces are triangular. These 3d shapes worksheets have been divided into 4 different sections. The first section is all about different types of triangles - equilateral, isosceles, scalene, as well as right, acute and obtuse triangles. The second section worksheets involve tracing and naming common 2d shapes that you will find on this page. The third section is the hardest section and involves trying to draw different 2d shapes using a dotty grid to help. This section is a great way to extend more able mathematicians. Due to the differences in shape terminology in US and UK, some of the worksheets have 2 different versions. These worksheets involve shading a range of 3d shapes according to their type: cone, cylinder, cuboid, prism, pyramid. Using these 2d shapes worksheets will help your child to explore and identify different transformations that can be done on 2d shapes. Using riddles is a fun and interesting way to see whether your child can apply their geometry knowledge to solve problems. The riddles in this section are all about 2d and 3d shapes, and your child has to identify the correct shape from a selection based on the information in the riddle. apply their geometry knowledge to solve a range of problems. All the sheets in this section will help your child to apply and consolidate their geometry learning.